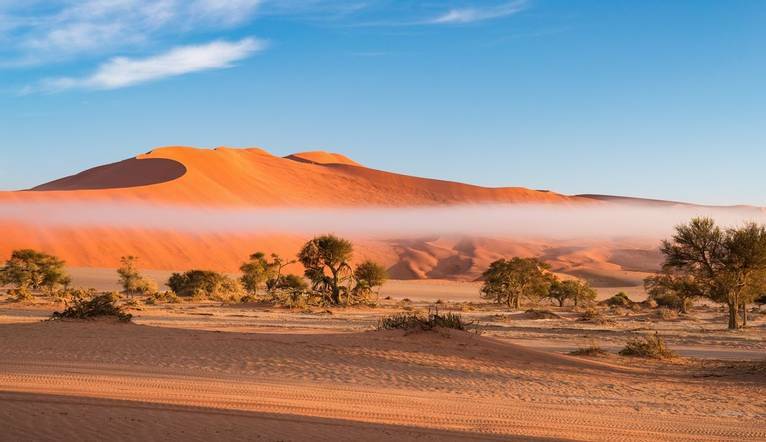 From the immense vastness of the Kalahari in the east, to the expanse of the deep blue Atlantic Ocean in the west, Namibia boasts enigmatic scenery, fantastic wildlife and regions of stunning natural beauty. Come and explore this fascinating country with us over the festive period. The country’s incredible array of wildlife and abundant and fabulously varied flora and fauna – sit back and enjoy the show! Namibia has the best beer in Africa! Upon arrival at Windhoek International Airport, we will be met by our local Tour Leader with a short orientation tour of the city on our way to the hotel. 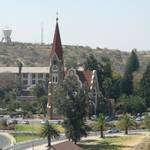 Namibia’s capital has a colonial legacy that is reflected in its many German eateries and shops, as well as an interesting mix of historical architecture including the Alte Feste (Old Fort), the 1896 Christuskirche (Christ Church), and the more contemporary Supreme Court. Overnight Windhoek. Head into the desert via the small town of Rehoboth, a community that still lives according to their paternal laws dating back to 1872. 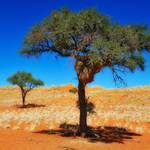 The Kalahari Desert; not a desert in the strictest sense of the word, as it receives too much rainfall, derives its’ name from the vast expanses of sand, through which precipitation filters rapidly, that have made the Kalahari into the “thirst land”. We will enjoy a scenic, sunset drive through the desert in an open vehicle before dinner – what a start to the holiday! Overnight Kalahari. Enjoy early morning coffee and tea before departing for Sossusvlei, a fascinating world of ecology and unearthly geography. Our route travels along the Tsauchab dry riverbed, which has found a way through the dunes until it reaches the vivid white clay saltpan, called Sossusvlei. 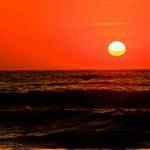 The early morning sun offers spectacular pastel colours in the star-shaped dunes. 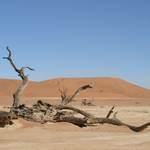 The first stop will be at Dune 45 before continuing to Sossusvlei. Climb one of the dunes and be overwhelmed by the sight of the dynamic and living desert! Breakfast will be served as a picnic under one of the shady camelthorn trees. Afterwards, walk over patches of dunes until you reach the base of the ‘Dead Vlei’, where all that remains today are the skeletons of trees. Today we journey through Kuiseb Canyon via the Moon Landscape, a barren, undulating rocky desert which was formed by the valleys of the Swakop River. Enjoy the rugged beauty of this lunar landscape before continuing towards Swakopmund, a city that resembles a small German town, with seaside promenades, restaurants, cafes and museums. We enjoy a stunning catamaran cruise in the morning through Walvis Bay, a 100 km² natural harbour sheltered from prevailing waves and rich in marine life. The afternoon is free to relax, or perhaps explore the quaint town of Swakopmund, take a guided tour through the Mondesa township, or a spectacular flight over the Skeleton coast. 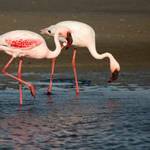 We travel on the salt road towards Henties Bay, past salt pans and a wonderful array of bird life. Our destination, Damaraland, one of the most scenic areas in Namibia, where we visit Twyfelfontein, a site of ancient rock engravings and the Organ Pipes, a distinctive series of dolerite pillars that have been exposed by erosion. 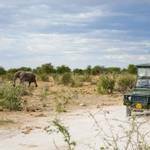 Our adventure continues to the Etosha National Park. Visit a Damara village and learn more about the culture and the tradition of this half-nomadic people and before continuing via the little town of Outjo. 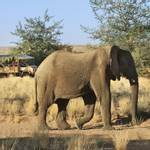 It’s then on to Etosha National Park for an afternoon first game drive into the park. Our entire day will be spent exploring the waterholes along this enormous saltpan. There are close to 114 species of mammal in Etosha, including the black faced impala and the threatened black and white rhino. 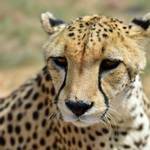 Today we travel south to Okonjima, to visit The AfriCat Foundation, a world renowned 55,000 acre sanctuary for cheetahs and leopards. Late afternoon we continue to Windhoek where we will enjoy a relaxing group dinner at Joe’s Beerhouse, one of Namibia’s most famous eateries. Enjoy a final breakfast before taking in the highlights of the capital with its three castles keeping watch over the city before departing for home. Although British nationals can enter Namibia for a holiday or private visit of up to 90 days without a visa, there have been cases where visitors have only been given permission to stay for periods much shorter than 90 days, sometimes as short as only 7 or 10 days. Before leaving the immigration desk in the airport arrivals hall, check that you have been given permission to stay in Namibia for the duration of your intended visit up to the maximum allowable of 90 days and that you have been given a correctly dated entry stamp by Namibian Immigration officials, as this will be checked on departure. Overstaying the time granted or an incorrect or missing entry stamp could lead to detention, arrest and a fine. Your passport should be valid for a minimum period of 6 months from the date of entry into Namibia and have at least 1 completely blank page for Namibian immigration to use. 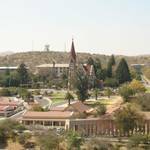 The transfer from Windhoek Airport to the hotel is approximately 45 minutes depending on traffic. The emphasis is on casual clothing for throughout. Comfortable shoes or walking boots are recommended. Dressing in layers and waterproofs to allow for changes in the weather is recommended. Please bring some warm clothing for example a fleece and warm outer jacket for the evenings and early mornings. A cap or wide brimmed hat to protect from the sun and sunglasses are recommended.